So flash back to a few years ago, you would have never caught me in the beauty aisles of a drugstore. I believed that high quality, long wearing makeup could only be found at dept stores or boutiques. Nowadays, drugstore brands have really stepped up their game, and you’ll be surprised the bang you can get for your buck. 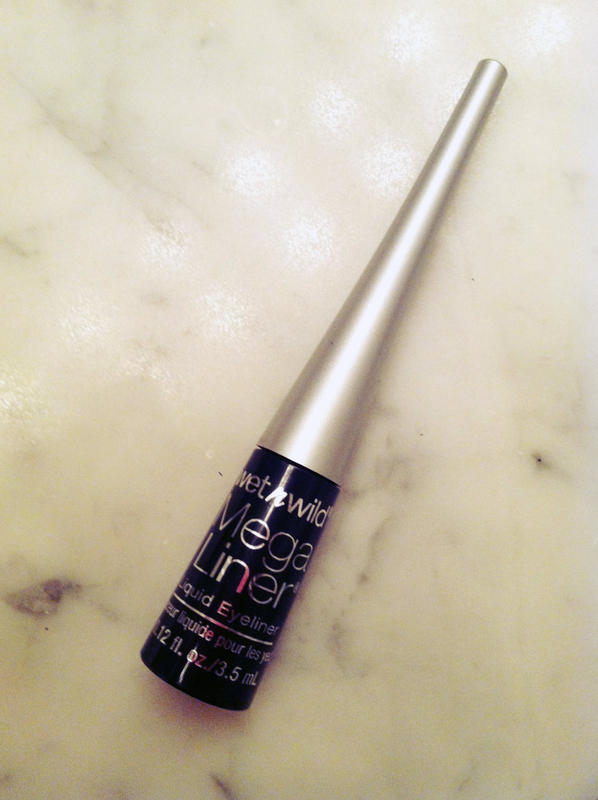 Today I am reviewing Wet n Wilds MegaLiner liquid eyeliner liner in black. It is a typical inkwell style, with a comfortable tapered handle. Its brush has long, bendable bristles that give great control to make that perfect precise line. I definitely prefer it to a felt-tipped one which I find less forgiving. The formula is thick, but not runny or sticky. It takes about 30 seconds to dry down, and sets to a slightly shiny black. When I first tested it, I definitely loved the ease of application and way it looked when applied, but was skeptical how well it would last. 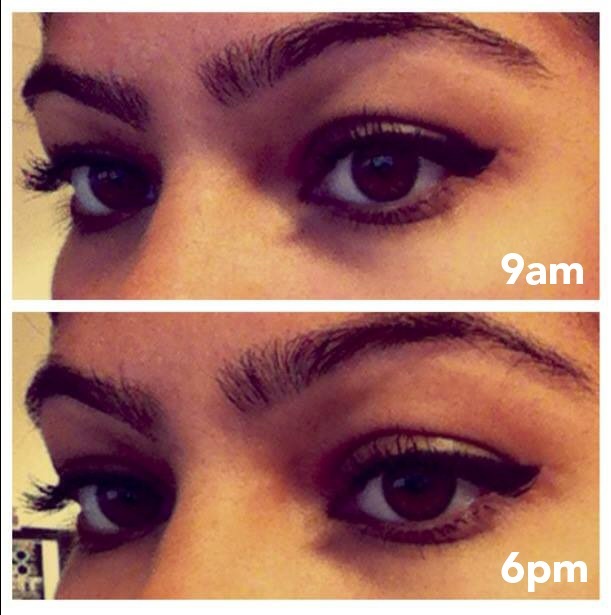 See, my eyelids get greasy as a fry pan during the day. And with my hooded eye-shape, the oiliness would cause my eyeliner to transfer, essentially stamping my crease with an identical line. Eyeshadow primer and eyeshadow typically help control the grease machine, but I like testing new eyeliners by first trying it out it on a naked eye. If you’re looking for a 100% budge proof liner, like Kat Von D’s Tattoo Liner, this is definitely not that. 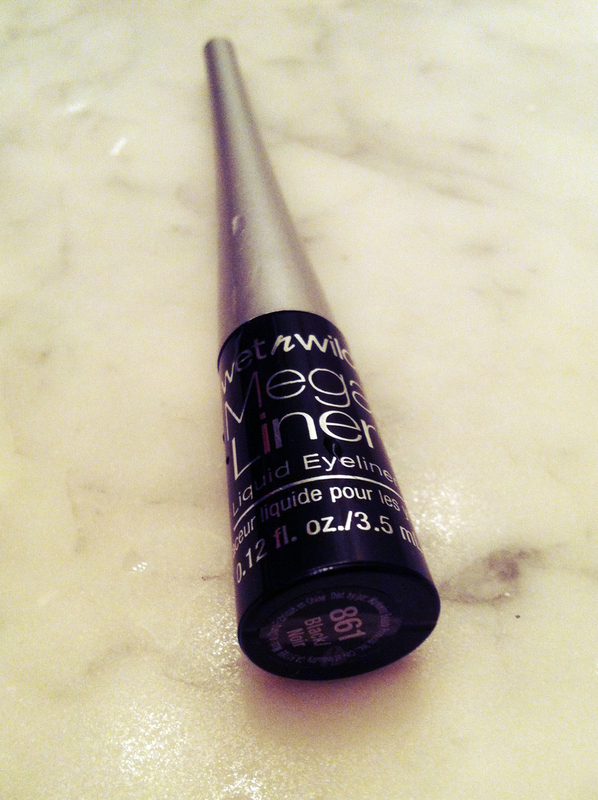 However, if you want a good long wearing liquid eyeliner that is easy to apply (and easy to remove! ), this is a winner! Especially if you are frustrated with oily eyelids and can’t find anything that stays put, don’t hesitate to try this out! I am not recommending this because it’s a budget eyeliner – it’s has a great formula and brush, and happens to be sold at the drugstore. I believe I picked it up at Walmart for $3.99, and it can be found even cheaper during sales at Walgreens or RiteAid. Truly, this is a drugstore gem. 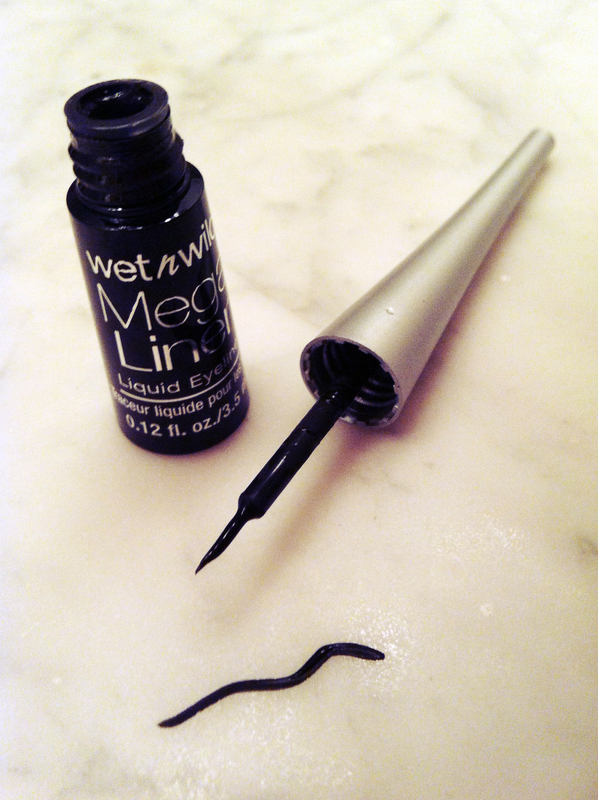 Tags: eyeliner, wet n wild. Bookmark the permalink.